It’s definitely a nice feeling to come home to see that you’ve received a package in the mail, especially when it’s a large box of fresh food. In this case, it was my Plated delivery for the week. Plated is a food delivery system where they provide you with a menu for the week, you choose the dishes you like, the quantity, and they deliver all the fresh, perfectly portioned ingredients to you along with detailed instructions to prepare that meal. The menu rotates every week and features meals designed by a number of featured chefs. Each recipe uses fresh, seasonal ingredients, put together to form a delicious balanced meal. They try to keep their ingredients as local as possible and limit the use of imported ingredients. Typical meals range between 600-800 calories. Each recipe comes with easy to understand preparation instructions, along with pictures, and take around 30 minutes to make. They have carb-free and gluten-free options available. At the moment, they don’t offer vegetarian meals, but it may possibly be coming soon. The way it works. A new menu goes live every Monday at noon. 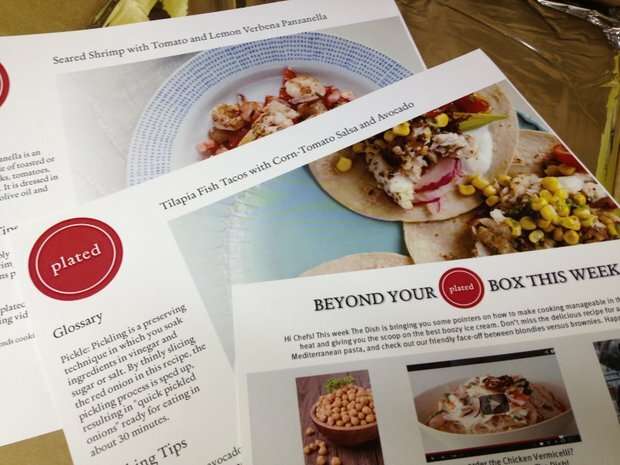 You have a week to place your order and your Plated box gets delivered on Tuesdays. The minimum order is 4 plates. They offer membership subscriptions for automated weekly deliveries as well as no commitment options. Depending on the option, prices range from $10 to $15 per plate. I was given the opportunity to try out Plated and I figured, why not? It sounds fun. I selected the Tilapia Fish Tacos with Corn-Tomato Salsa and Avocado and the Seared Shrimp with Tomato and Lemon Verbena Panzanella, two plates each. They provide you with the key ingredients and also lets you know what typical pantry items, like salt or pepper, you’ll need. When I opened the box, I found the recipe cards on top. On one side, there were step by step instructions with a picture for each step. In quick glance, the recipes seem simple enough to make – from kitchen to plate in just 6 steps. On the other side of the card was a large picture of what the end product should/may look like along with some cooking tips and notes. 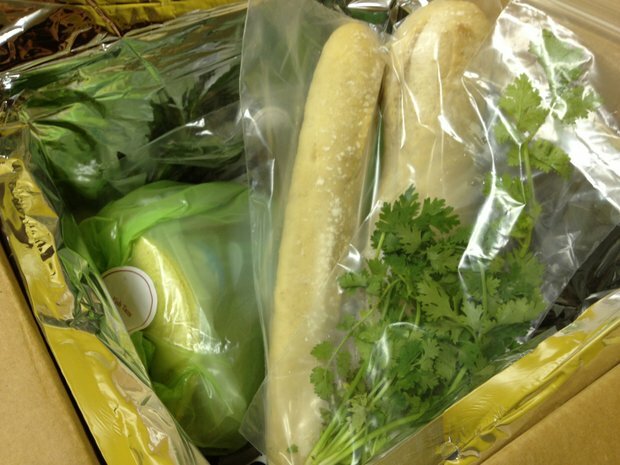 Under the recipe cards, all the ingredients were neatly packaged and protected with insulation and refrigerant packs. The ingredients come pretty organized. 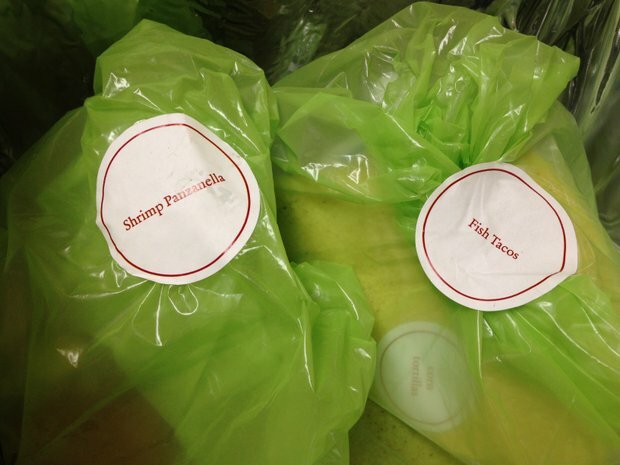 Each ingredient is individually packaged and labeled. The shrimp panzanella ingredients were separated from the fish tacos ingredients, so you don’t need to spend time figuring out what ingredients goes where. 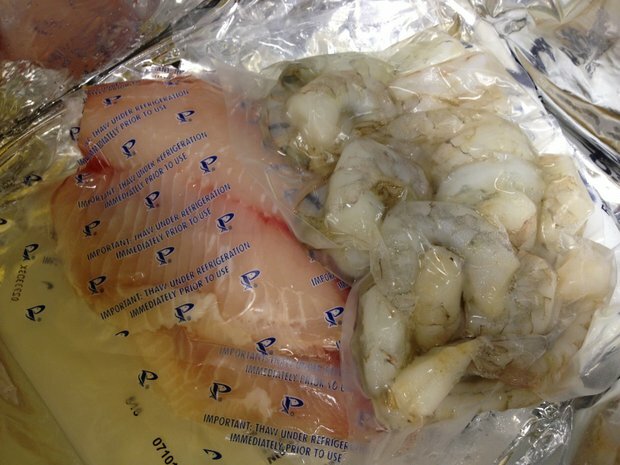 The fish and shrimp were packed in vacuum sealed pouches. Since everything is individually packaged, the recipes can be easily customized or adapted to fit certain preferences, for example, omitting or replacing certain ingredients with others. The ordering and delivery was very simple and convenient. If you’re not home to receive the delivery, you can leave them instructions on where or who to leave the package with. They are shipped by Periship via Fedex, so they’ve put a lot of thought into making sure the food stays fresh while in transit. Just make sure you place it in your fridge by the evening you receive it. Stay tuned to follow up with me as I share my experience with their recipes and preparing this dishes. Meanwhile, if you’re curious to try it for yourself, here’s $10 off your first delivery. Currently, the Plated service is available in most areas in the Northeast and Midwest, but they are working on expanding their coverage. Areas include New York Tri-state area, Washington DC, Boston, Chicago and surrounding areas, Michigan, Indiana, St. Louis and Cleveland. ← Previous Story How to celebrate “National Hot Dog Day” Chicago style!